Oh no! We understand how frustrating this can be and we want to ensure you get all your eligible cash back for your purchases. Here are some quick trouble shooting questions to review for any missing cash back for purchases made with your Linked Payment Card. Did you link your Payment Card before or after you made your purchase? Your payment card must be linked before making any purchases in-store in order to be eligible for cash back. Any purchases made before will not be eligible for cash back. Is the restaurant/retailer you shopped with participating in our Card Linked Offer program? 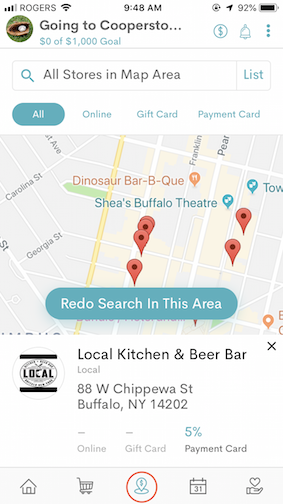 In the app, click on the ‘places nearby’ (3rd tab) to discover the places near you where you can earn cash back for your in-store purchases. 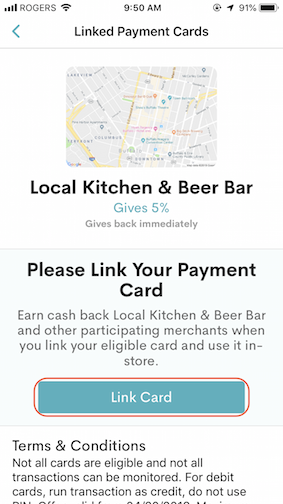 The restaurant/store I shopped at is listed as a participating location but I didn't receive cash back. Sometimes restaurants move/re-locate and their addresses might not have been updated in our system. Please let us know if you notice this and we'll make sure you get your cash back. Did you use a pin number for your linked payment card? Please note using a pin for your in-store payments will automatically void your cash back. If the listed reasons do not apply for your missing transaction with your linked cards, please contact our support team at [email protected]@flipgive.com . You will need to send a photo of your receipt so please make sure to have that handy!